Rentals and repairs located above FAR Guest services next to the slopes. A wide range of equipment, clothing and accessories for sale. Custom Bootfitters and Ski Shop. Located on the bottom level of the Griz Inn. Ski and snowboard rentals located at Lizard Creek Lodge at Fernie Alpine Resort, next to the Elk Chair lift. Demo and rental store. Demos skis by Salomon, K2, Volkl, Dynastar or snowboards by K2. They offer a wide range of kid's equipment, snowshoe rentals, ski and snowboard tuning and boot fitting services. 250-423-2057 ext the Quest. Book online - www.fernieskirentals.com. Skis, snowboards, retail and repairs. 1191 7th Ave, Fernie. - 250-423-3611 - fsports@shawcable.com. 671 2nd Ave, Fernie - 250 423 3650 - www.thehut.ca - contact: info@thehut.ca. The shop carries Burton, Ride, Vans, Lib Tech, Gnu, Supernatural, Forum boards and gear. Indoor skateboard park and internet cafe. Enchilladas, burritos and fallafels in an 'authentic' Mexican diner! 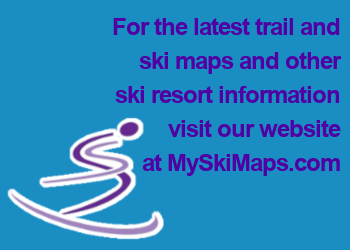 Ski and snowboard rentals, high performance demos, X-country ski and snowshoe rentals. You'll also find ski and snowboard sales, outerwear, and athletic apparel, footwear. Burton, Atomic, Salomon, Columbia, Ripzone, Sierra Designs and Helly Hansen. Located on Highway #3 across from the Kootenay Market. (250) 423-3611.